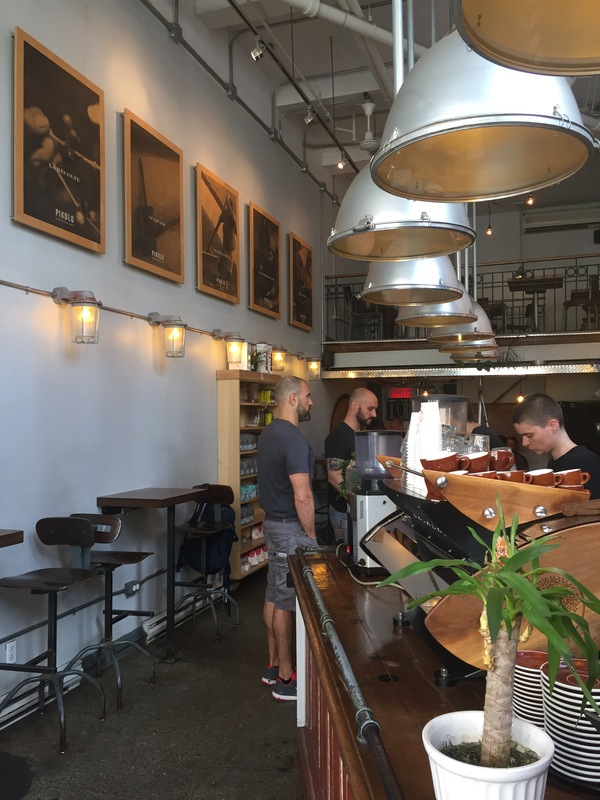 I’m not sure how, but yesterday, I found myself standing in front of Pikolo Espresso Bar on Parc & Sherbrooke, and I wasn’t too sure how I had managed to find myself there. Everyday, we do the same repetitive things, and one thing that has scared me is noticing that my routine of leaving work and getting home is so ingrained in my brain that I space out, and I don’t fully realize that I got myself from point B to point A. Yes I’m fully aware of the things I do, but when it becomes a routine, you kind of forget everything that goes into it, so when you actually take the time to think about it, you kind of freak yourself out… right? Anyways! I’ve traveled this route MANY times in the past couple months, and I kind of zone out when I’m in the bus. Mostly because it’s the slowest mode of transport here in Montreal, but also because it’s hot and stuffy and it kind of lulls you to sleep. So you can imagine my surprise when I got off two stops early and wasn’t fazed by being at the wrong spot. Nope, no freak out, it was as if my brain knew exactly what it wanted to do and I had no say in the matter. I was standing right in front of Pikolo Espresso Bar, and I guess that’s where I wanted to go? Either way, I was pretty happy with the decision my brain made. Right next door is Nota Bene, a stationery shop, one of my guilty pleasures. So I assume my brain made the decision on my way to my appointment that I would have to stop on my way home. Never mind the paper and pen shop, I’m poor, so I decided to go in for a coffee, and man oh man am I happy about it. 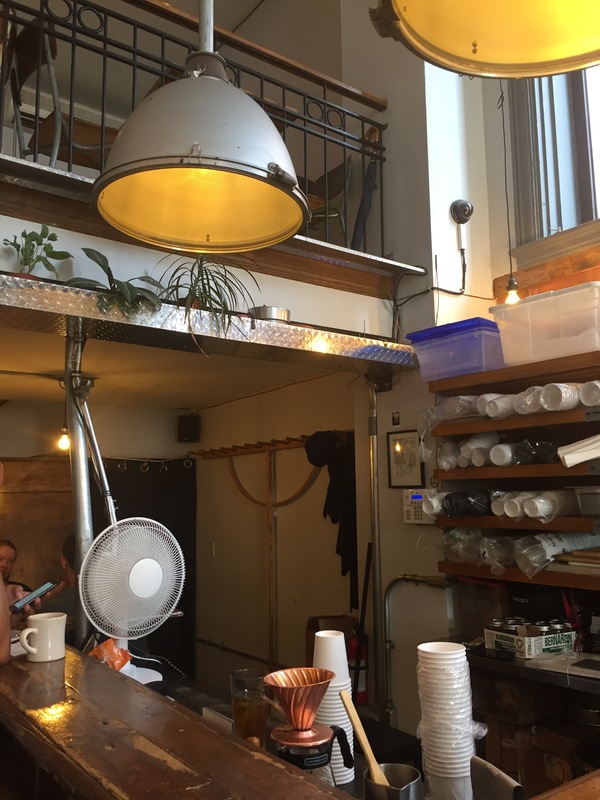 It’s a super cute and rustic-esque shop: there are a few two seaters along the wall at bar height, with a little mezzanine up top where you can go study, as well as a few window seats. The counter runs parallel to the wall, practically for the entire length of the shop, and everything is covered in wood. I don’t know why, but wood and coffee go hand in hand. I think the smells just mix in really nicely, and it gives you a real cozy and welcoming feeling. The coffee and other beverages are indicated on a large overhanging chalkboard and forged iron sign, and you have a selection of yummy pastries and treats for those of you that have a tendency to snack with your coffee. 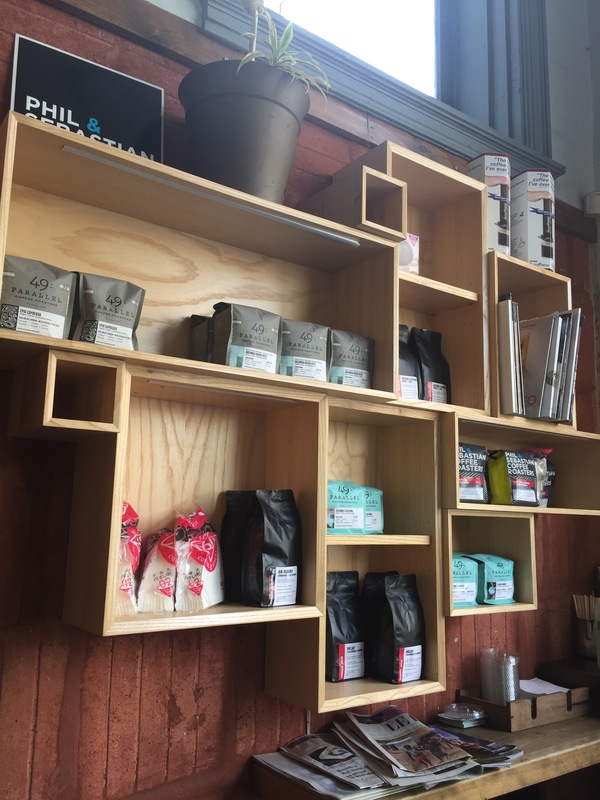 Furthermore, you’ll find various brands of coffee pouches and accessories that can be purchased; yesterday, they had a selection of 49th Parallel Roasters, Phil & Sebastian Roasters, and Cut Coffee. I went for a short espresso shot (ristretto) and it was amazing! It was so smooth but strong and velvety, with a delicious taste of chocolate and almost nutty flavor. By far, this has been the best espresso shot that I’ve had since starting the blog! 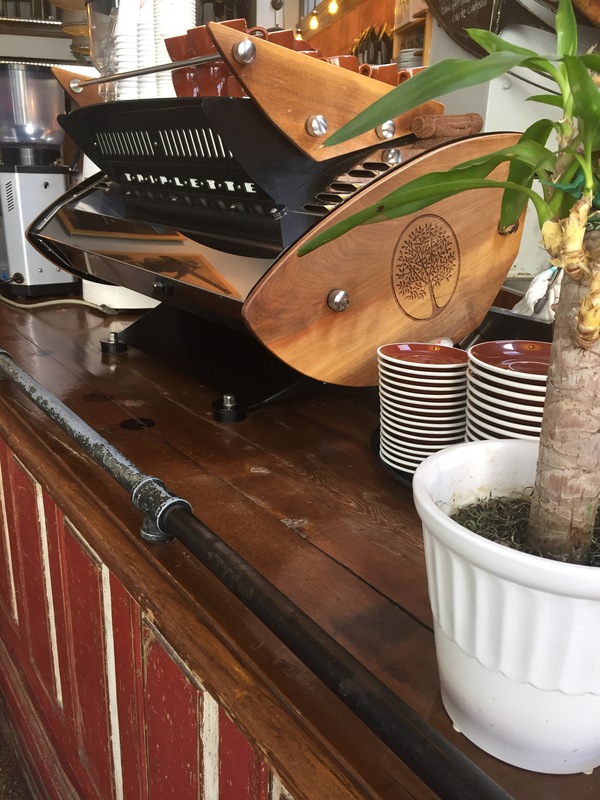 So if you’re in the area (Station Place des Arts) or you just really want an amazing espresso, run to Pikolo Espresso Bar!!! !